Serenity Now! 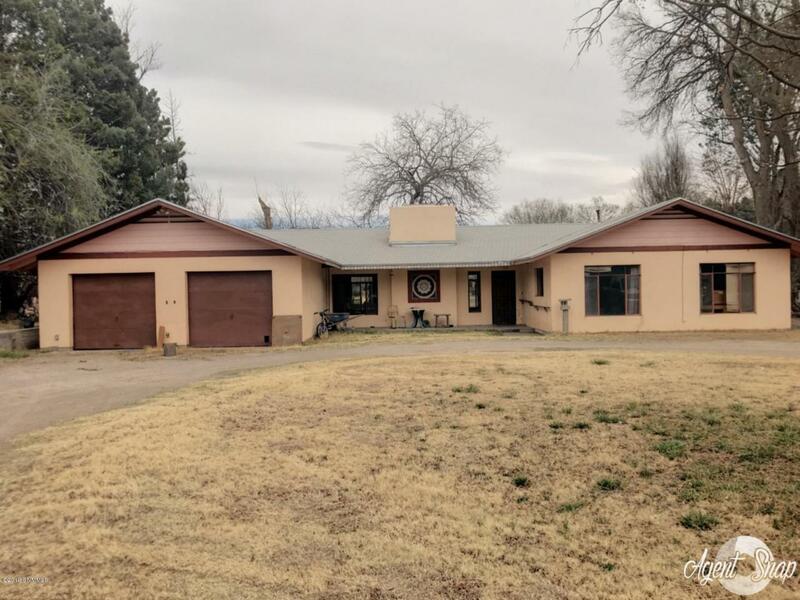 This Ranch Style home sits on 1 acre in a secluded are of Mesilla at the end of a dead end road, surrounded by pecan orchards and is so peaceful you may never want to leave. The home is large and open concept, with beautiful Mexican style tile work on the large living room fireplace and flooring, skylights throughout and extra large windows to enjoy the beautiful land surrounding it. For the green-minded, the floor plan is perfect with a pellet stove that can heat all the bedrooms in the evening, saving money on heating costs. It also has EBID and well rights. This solid house has 3 bedrooms, 2 full baths, a screened porch, plus an extra office with its own side entrance. All it needs is a little TLC and you could have a green oasis in the desert! Listing provided courtesy of Zoe Spiliotis of Exp Realty Llc: (505) 235-9904. All listing information was provided by Southern New Mexico Multiple Listing Service.